We started off this morning with a refreshing snorkel session at 8:30am. This time we brought out more gear, specifically a clipboard with waterproof paper to take notes of what we saw. There was a general feeling among all of us that the waterproof paper had to be some sort of black magic, but it worked so we stopped questioning it. Holding the clipboard and trying to take photos and write notes while avoiding being pushed into the coral by the currents took a long time to get used to, and I definitely haven’t mastered it. To make everything more confusing, we added more gear after lunch. 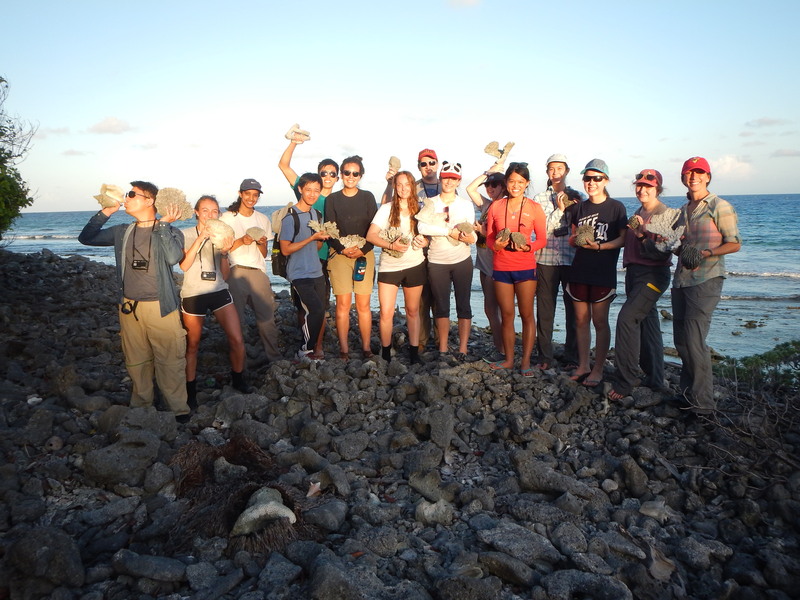 We performed a short experiment to practice using transect tapes and quadrats. 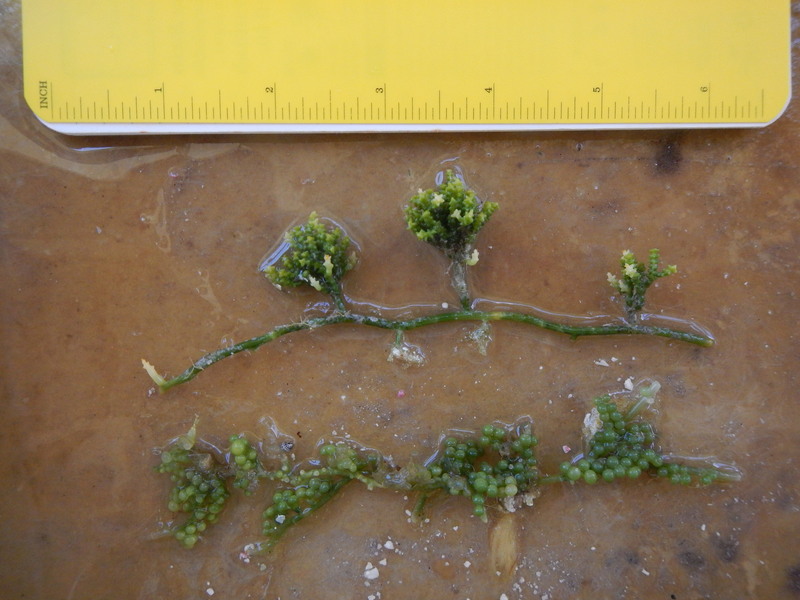 The question that we were trying to answer was whether Halimeda or Penicillus species had a higher abundance and density in the sea grass off of the pier at Middle Caye. 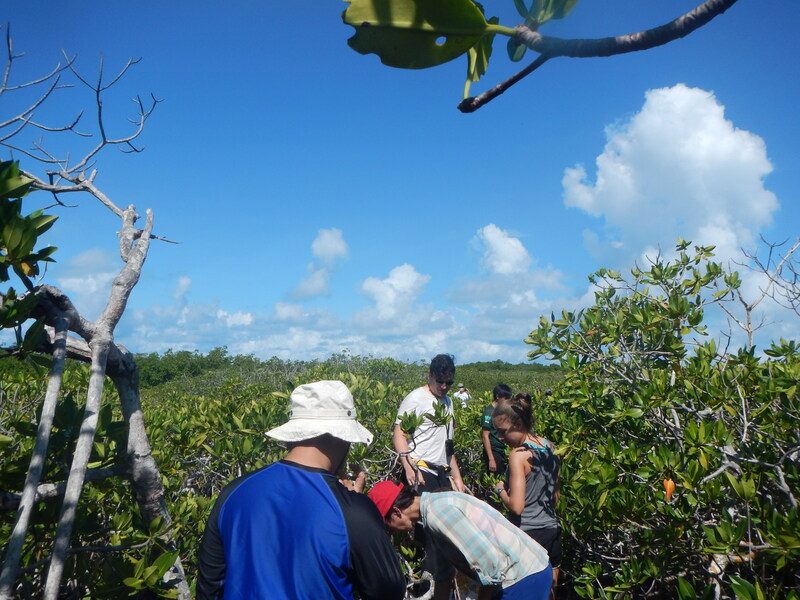 We worked in 6 groups to run transects across the beds of sea grass and counted the number of individuals of each species in quadrats along the transects. In the end, we found 153 Halimeda individuals and only 1 Penicillus individual in the 216 square feet that we measured. 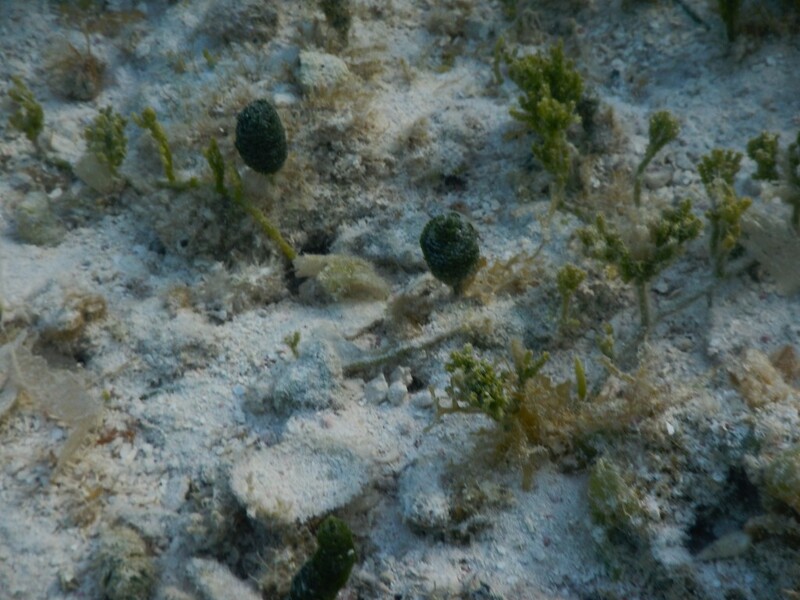 We noticed that even slight differences in the composition of the sea grass bed, such as the density or length of the grass, changed the likelihood of algae being found in the plot. 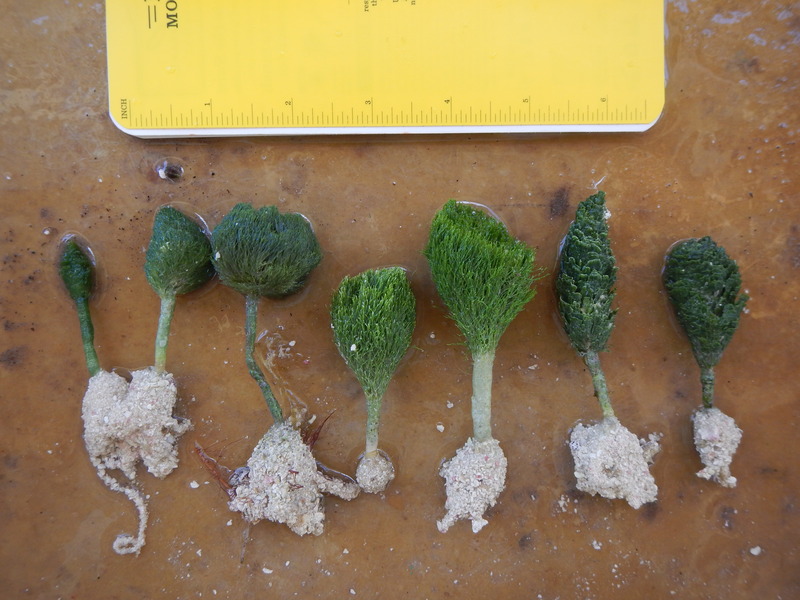 To quantify these differences we would have to run another experiment that focused on the different zones in the sea grass bed. 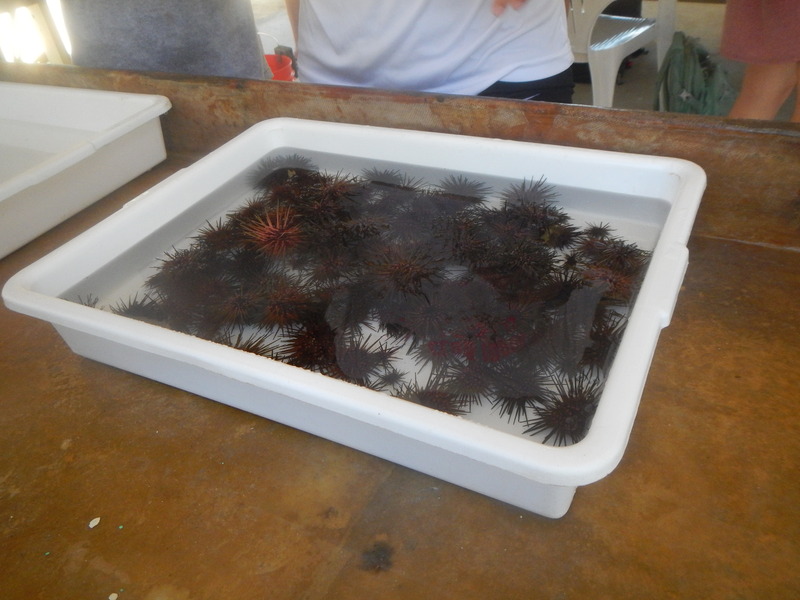 Our experiment was limited because of the small area that we covered and difficulty that we had counting the individuals. 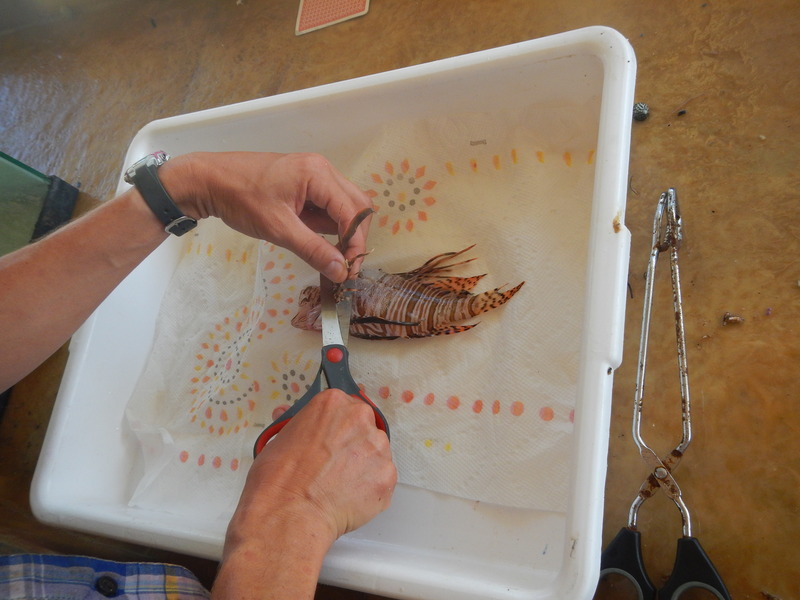 Even though we were in water that was 8 feet deep at most, it might have been easier to run the experiment using SCUBA so we wouldn’t have to keep surfacing, which made counting confusing when we had to see under blades of grass. 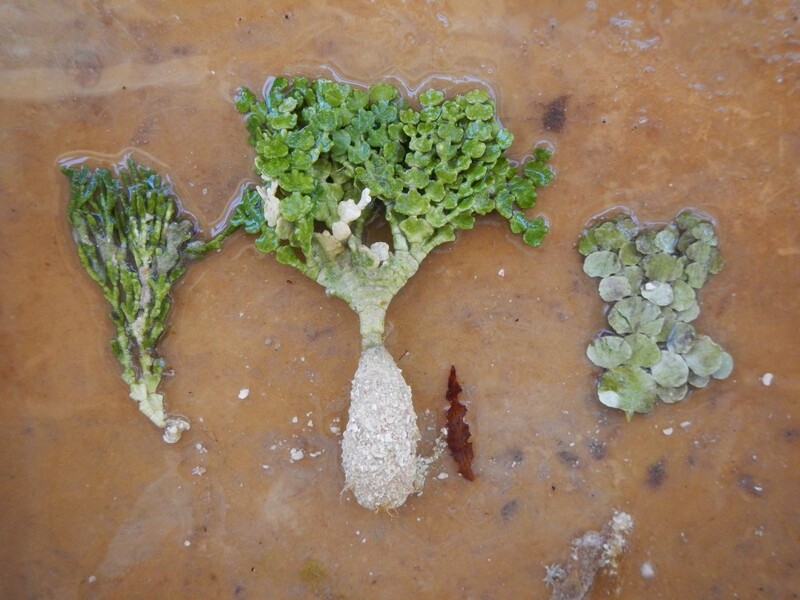 Halimeda and Penicillus are interesting green algae because they are calcareous. 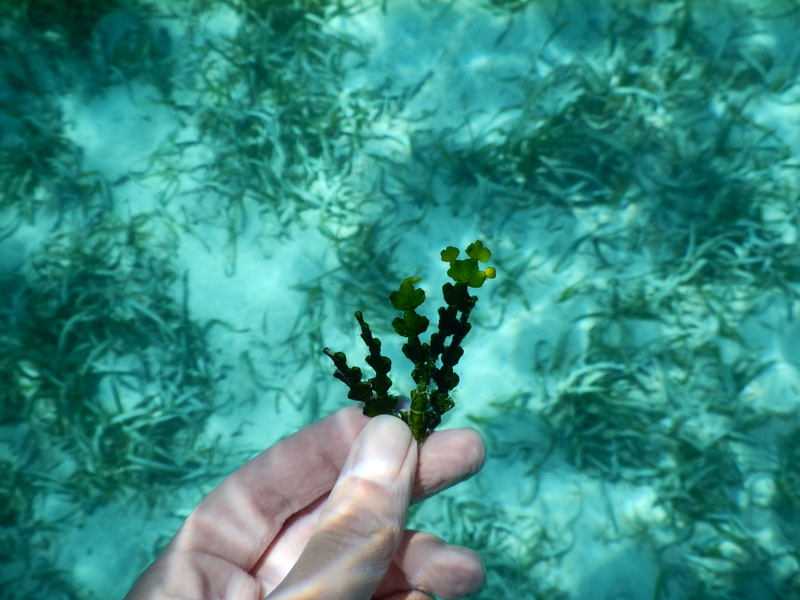 Halimeda incorporates calcium carbonate into its thallus in flat chips, whereas Penicillus has calcium carbonate in the brush-like filaments at the top of the algae. The different forms of calcium carbonate lead to different types of sand. Halimeda creates large, flat grains of sand. The sand from Penicillus is finer and muddier. Today we traveled from the zoo to Glovers Reef. 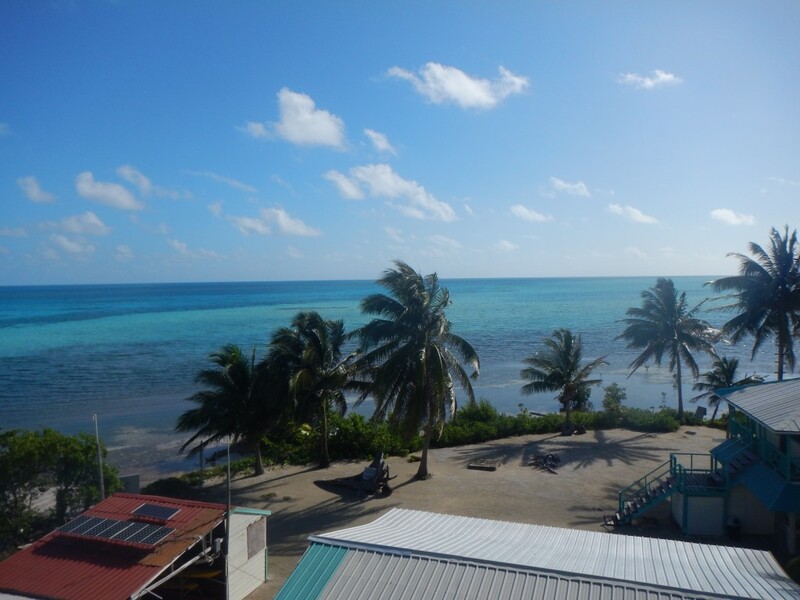 Glovers Reef is one of three atolls in Belize. 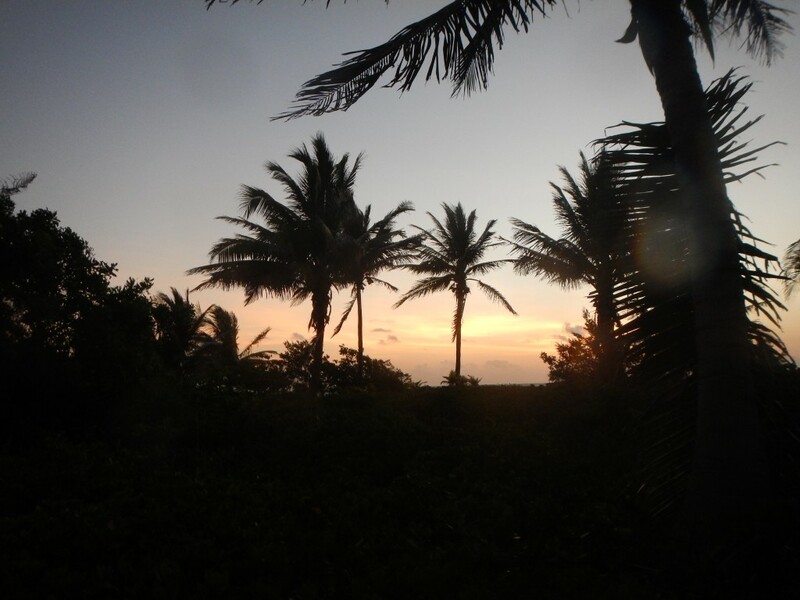 It consists of four islands – Southwest Caye, Middle Caye, Long Caye, and Northeast Caye. We got to the island around 3:45pm and were able to snorkel for an hour before we had dinner. To our surprise, the water was like bathwater, especially right by the pier. It almost wasn’t refreshing, but being in the water was amazing. Most of the sea floor that we saw was covered in sea grass. 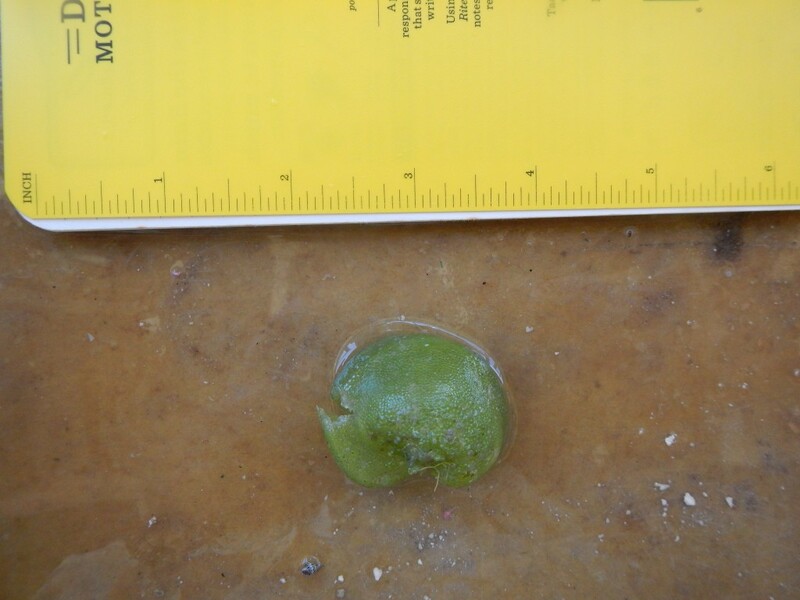 There weren’t any trees in the sea, but someone found a Penicillus capitatus, which is a species of green algae that looks like a paint brush. 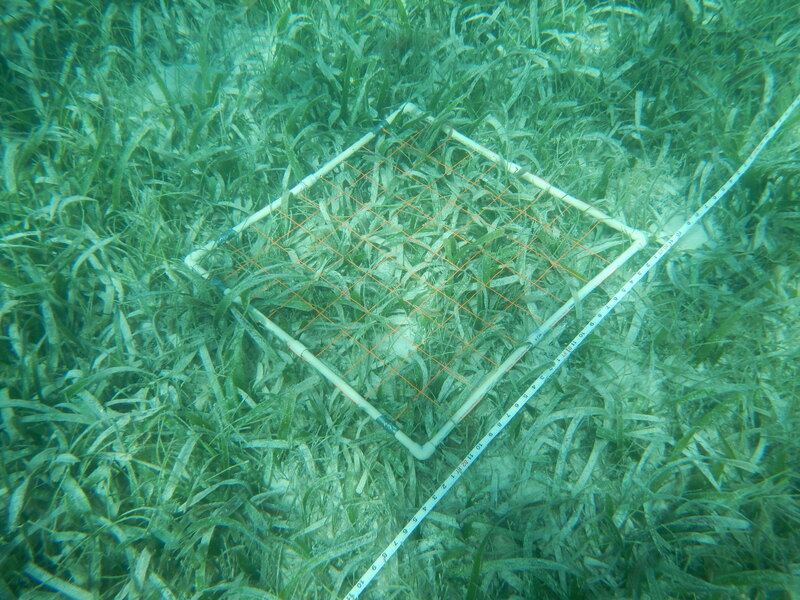 A little farther out, the sea grass gave way to a few patch reefs. 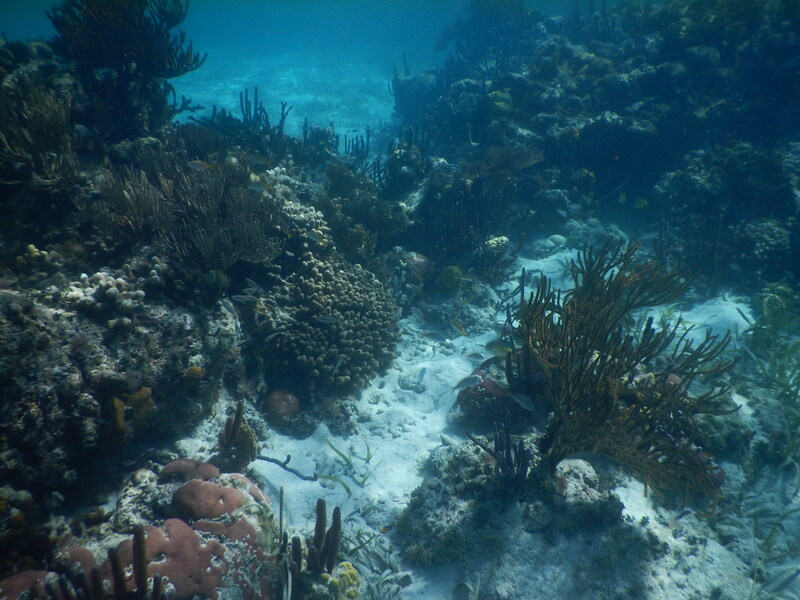 The reefs had more sediment than I was expecting, but the diversity on the reefs was still greater than almost all reefs I have visited. 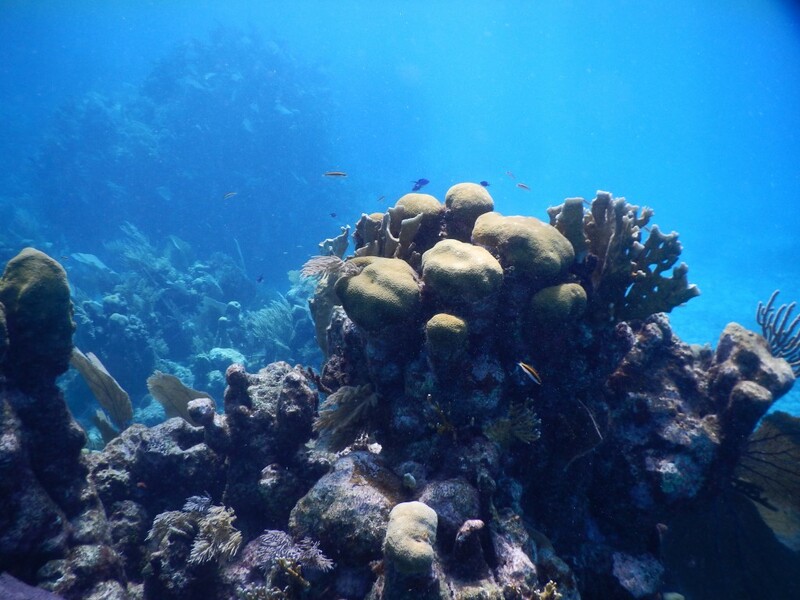 The first species that I noticed were Gregonian sea fans, that were purple and rose gracefully from the mounds of coral. 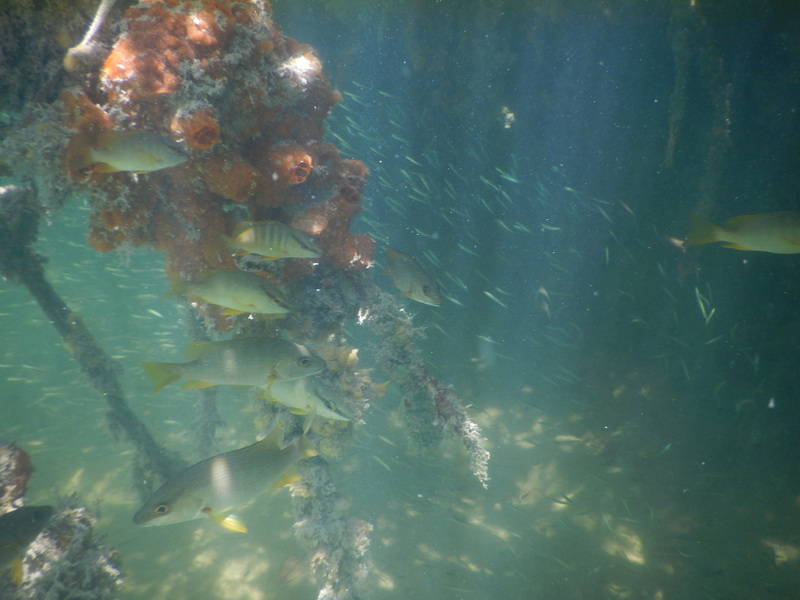 The sedimentation on the patch reefs made them a good habitat for green algae. 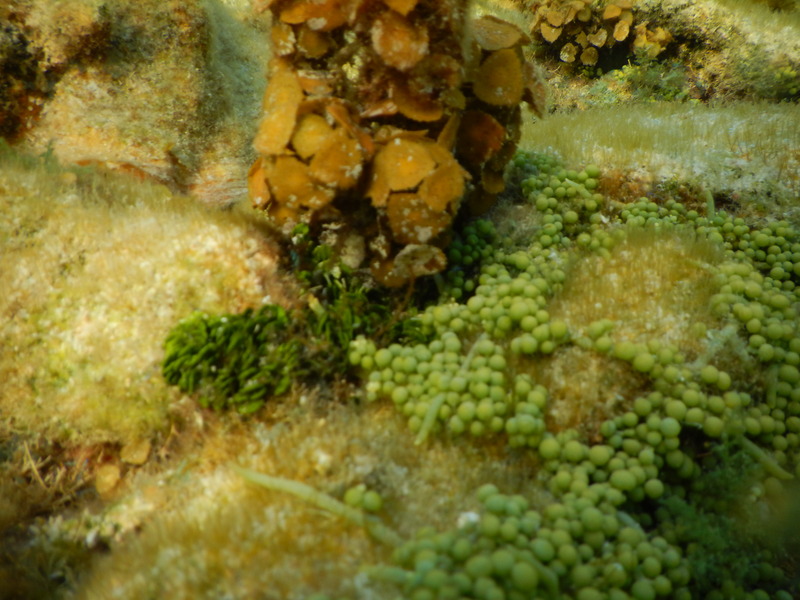 The highest concentrations of green algae that I found were along the edge of the patch reef. 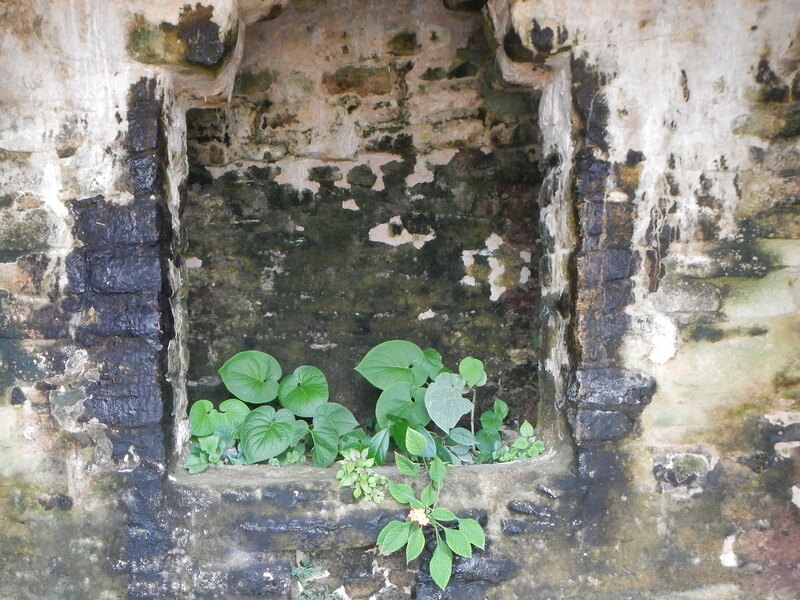 There were multiple species of Halimeda, but I wasn’t able to identify the exact species. 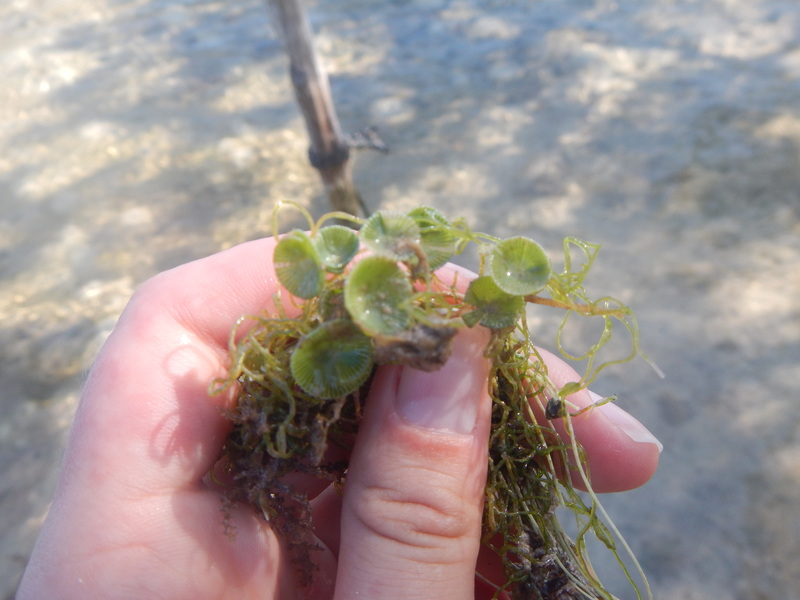 There was a lot of Caulerpa cupressoides, which was smaller than I was expecting but still very recognizable. I also saw a species that could be Anadyomene stellata, but I need to look at the morphology of the algae more closely. 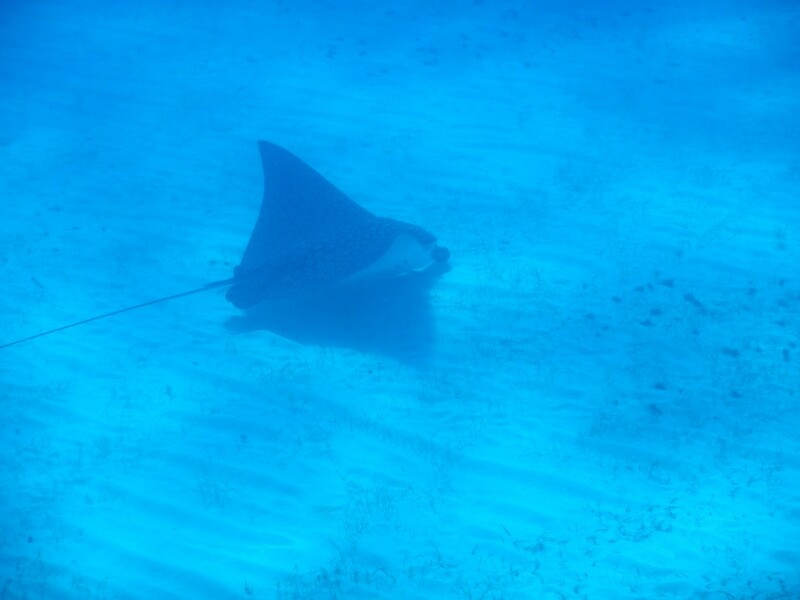 Tomorrow I’m looking forward to having more time in the water and learning about more reef species. Today we left Las Cuevas Research Center and traveled to the Belize Zoo. After a long morning, we arrived at the Zoo’s Tropical Education Center. The center was really interesting because it consisted of a large property with multiple ecosystems, such as pine forests. The director of TEC warned us to watch out for wild snakes and other wildlife around the cabins, but the only wildlife that I saw were birds. After dinner at TEC, we went for a night tour of the zoo. We only visited nocturnal animals because the guides didn’t want to disturb the diurnal animals. We got to visit two jaguars out of the 18 that the zoo has. The zoo has so many jaguars because they rescue animals that are in danger of being shot by farmers. One of the jaguars that we saw was a black jaguar named Lucky Boy who was rescued from a Belizean resort that had been abandoned. 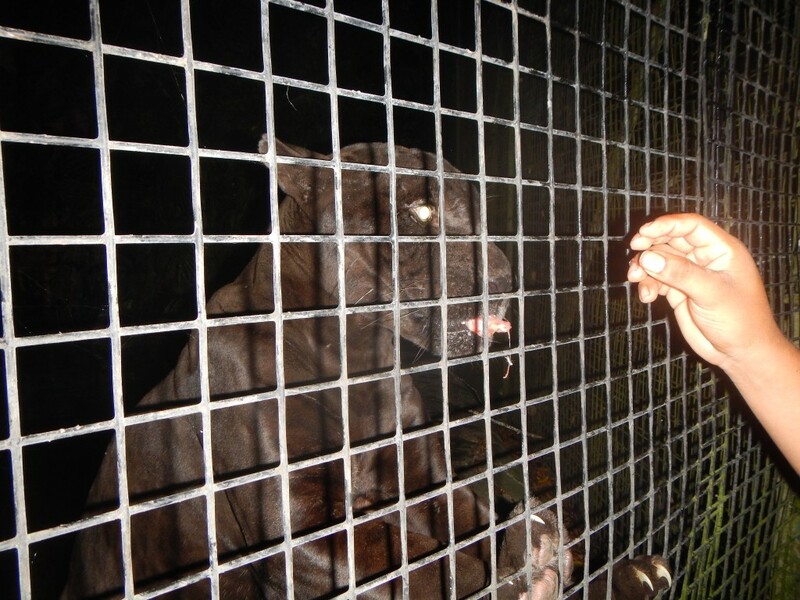 Black jaguars are extremely rare. They are the equivalent of the opposite of albino animals; they have too much melanin. We also got to feed a tapir and saw an ocelot. The ocelot was entertaining because it wouldn’t stop growling, even when the zoo keeper fed it. The only difference was the change from a growl to a growling “nom nom nom” sound. Because of all of the travel time, I didn’t get a chance to observe specific tree species. We passed through multiple ecosystems, and I saw many of the same species that I observed over the past week.